After turing professional with his hometown club HC Kladno in 1988-89, Jaromir Jagr got off to a slow start with just 6 points in 29 games. He gave a glimpse of what was to come with 12 points in 10 playoff games that season before catching NHL scouts attention the following season with 22 goals and 50 points in 42 games to lead Kladno in scoring and place 7th overall in the Czechoslovak First Ice Hockey League. 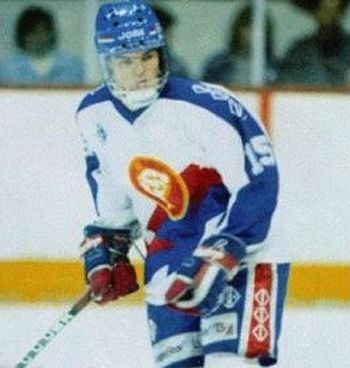 Jagr also made his mark at the 1989 European Junior Championships with 12 points in 5 games, the 1990 World Junior Championships where he finished second with 18 points in 7 games on his way to a bronze medal prior to earning another bronze at the 1990 World Championships, where he scored 5 points in 10 games playing at the senior level at the age of 18. 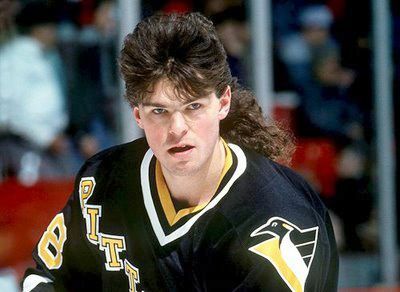 With that impressive resume, Jagr was selected 5th overall in the 1990 NHL Entry Draft by the Pittsburgh Penguins, the first Czechoslovak player drafted without having to defect first. Immediately able to begin his North American career due to the changing face of European politics at the time, Jagr proved to be an immediate success and a key part of the Penguins, as he finished fifth in team scoring with 27 goals and 50 points. With the Penguins at full strength for the post season following the return of team captain Mario Lemieux, who only appeared in 26 regular season games, the Penguins went on a march through the playoffs, which concluded with the franchise capturing it's first Stanley Cup championship in 24 years. Jagr scored three goals during the playoffs to become, at age 19, the youngest player to score a goal in the Stanley Cup Finals.The following season Jagr raised his point totals to 32 goals and 69 points and was fourth in team playoff scoring with 24 points in 21 games as the Penguins repeated as Stanley Cup champions. For the 1992-93 season, his game took a big step forward when he once more took a step forward with 34 goals, but a big leap with 60 assists, up from 37. His 94 points still only placed him fifth in team scoring in the explosive Pittsburgh lineup, led by Lemieux's league leading 160. The 1993-94 season saw Jagr bump his personal best point total up to 99 on the basis of 32 goals and a then career high 67 assists to lead the Penguins in scoring for the first time with Lemieux limited to just 22 games due to injury. 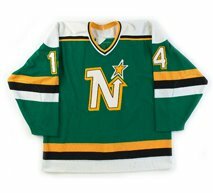 The start of the 1994-95 season was delayed until mid-January of 1995 due to a 103 day lockout, which shortened the season to just 48 games. 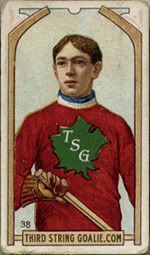 While awaiting the settlement of the labor issues in North America, Jagr returned to Kladno where he played in 11 games, as well as 7 games in Italy and one in Germany. When the season did resume, Jagr was a dominant force on the Penguins, scoring as many goals in 48 games and he had the year before in 80, just two short of the league lead. 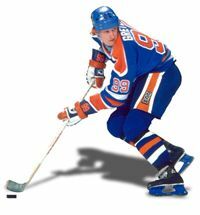 He did however, rack up 38 assists to tie Eric Lindros for the league lead with 70 points for the season by adding an assist on Kevin Stevens goal at 18:05 of the first period of the final game of the regular season on this day in 1995 to become the first European to win the Art Ross Trophy on the basis of holding a 32 to 29 lead in goals over Lindros. 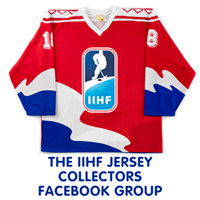 The next season Jagr would total 149 points, only to lose the scoring race to Lemieux's 161, although his 149 points would set a career high and set a record for European-born players as well as right wingers. 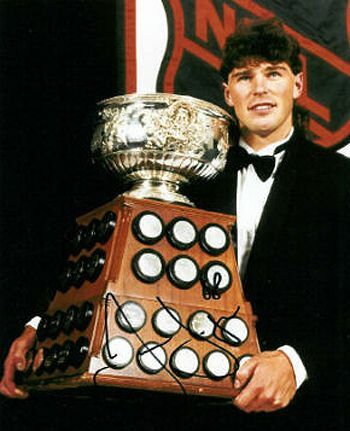 After Lemieux won the scoring title in 1996 and 1997, Jagr would go on to win the Art Ross Trophy four consecutive times from 1998 to 2001, winning the Pearson Award in 1998 and the Hart Trophy in 1999 in the process. 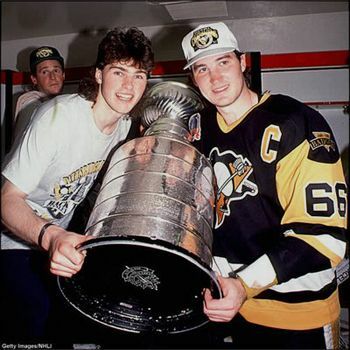 When Lemieux returned out of retirement, the financially struggling Penguins could no longer afford to keep both him and Jagr's salaries, and Jagr was dealt to the Washington Capitals in July of 2001, bringing an end to his days in Pittsburgh. 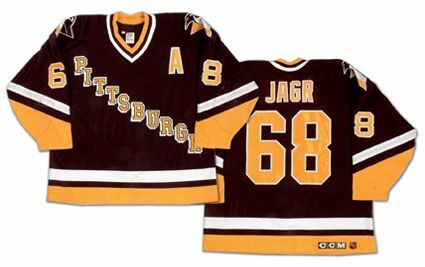 Today's featured jersey is a 1994-95 Pittsburgh Penguins Jaromir Jagr jersey from the season during which he became the first European-born player to lead the NHL in scoring. Following their back to back Stanley Cup championships in 1991 and 1992, the Penguins debuted a brand new jersey set and modernized logo. The road jersey was a terrific blending of the original Penguins diagonally lettered jerseys from the 1967-68 season, done in the striping pattern similar to their blue 1974-75 jerseys, only now in their then current black and yellow colors and adorned with their new "robo-penguin" logo on the shoulders. 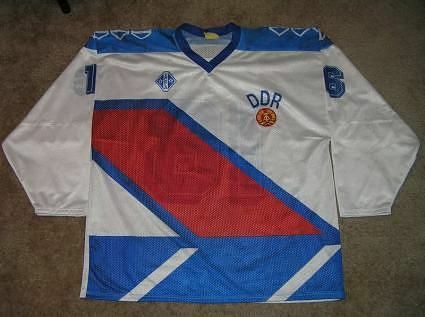 This really sharp jersey was used from 1992-93 until 1996-97 until being replaced by the team's then alternate jersey. Today's video highlight are Jagr's top ten goals with the Penguins.